The Salty Bugger is personally one of my favourite saltwater flies, and I always carry a lot of these flies with me when I go on a saltwater fly fishing trip. 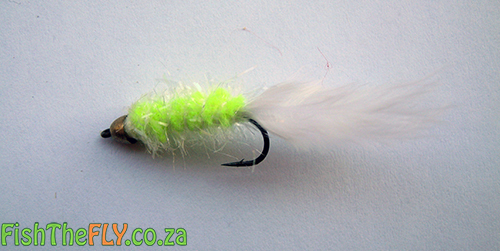 Along with the Fritz and the Clouser Minnow, the Salty Bugger has to be one of the best prospecting flies for South African waters, and this fly can truly catch any fish species in the ocean. The Salty Bugger can be tied in a variety of colours and sizes, but without a doubt, chartreuse would be my go to colour when using this pattern. The Salty Bugger gets it’s origins from the successful freshwater fly, the Woolly Bugger. The Salty Bugger is, essentially, a glorified Woolly Bugger with more flash, a cone shaped bead, and striking saltwater colours. 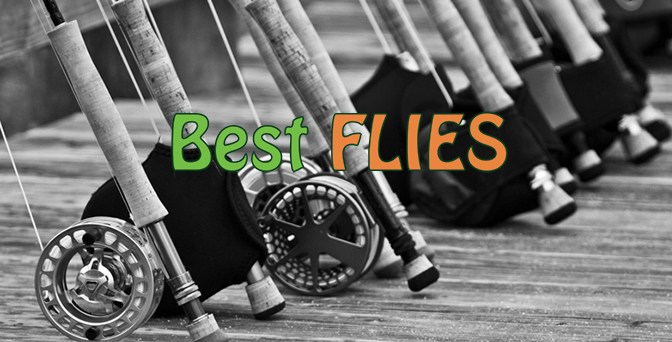 This fly is best used when fishing inshore. Areas like rivers, estuaries, gullies and the surf zone are perfect places to fish this fly, whether it is from a boat or from the side. The fish species a fly angler can catch on this fly are almost too numerous to list. So in the list below, of what fish you can catch on the Salty Bugger, we have excluded offshore fish and freshwater fish, although it works very well for both of the latter species. This brilliant pattern can be fished in a variety of different ways – fast retrieve, flat out retrieve, slow retrieve and so on – and it can be fished on floating, intermediate or sinking line.